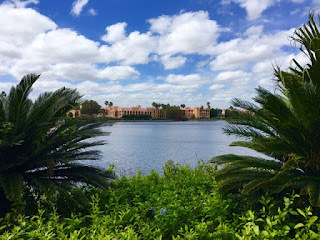 The Coronado Springs Resort is one of my favorite places to spend time. It isn't far from home, it is easy to park, and the atmosphere is great. I'm able to set up my "remote office" there, utilizing wifi and an iPad. I took this shot today, as I was walking the grounds.